Hi again, it’s the second instalment of my ever so popular #ManMonday posts. I’m actually quite surprised that you enjoyed my previous post so much. Maybe I should start my own blog, call it Kevin & Other Stuff. I figured that after you’ve survived your wife’s pregnancy, you’re going to have to survive something else…the actual birth…and all the awesome things that come after the hospital packs you and your new family up and leave you to your own devices. You’ll only ever see your child being born once, and no other experience will replicate that. It’s one of those moments in life that you have to see, so don’t think that just hearing their first cry from outside of the room will cut it. I’m not saying you have to see your baby’s head literally come out of your wife’s vajayjay though…but be in the room. Show your partner that you’re there. To me it’s the most miraculous thing I’ve ever seen – this emergence of life, and meeting your child for the first time. It’s an experience that I would’ve really regretted if I wasn’t in the room. Once you’re in the room, let the doctors do their thing. Have confidence in their ability, they’re the professionals. Don’t look at what they’re doing and just focus on your wife, because you’ll get freaked out seeing what the doctors are doing – particularly if it’s a c-section. Believe me, you don’t want to see them cut up your wife, take things out of her body and put them back in. It’s like watching somebody stuffing a pillow in a pillowcase. It’s a very strange situation. Just focus on your wife/partner. Show her that you’re there to support her. Once the baby’s out, then you can go to the baby. Be present and ready to help when it’s required. No matter how hard it is on you, after birth is much harder on her. Particularly if she’s is breastfeeding. It’s really draining on her energy, plus she’s just coming out of an extremely physically traumatic thing by giving birth – naturally or with a c-section. Her body needs time to recover and adjust. And if your wife is acting weird – like she doesn’t want you to see her naked, just be ok with it. She’s probably bleeding and weird stuff is happening to her body. It’s weird for her and it’ll be weird for you. Just think of it like this: this is my lane and I won’t leave it unless she asks me to. So don’t be too much in there because it’s still a very new experience for her. You’re not going to be able to really enjoy the baby until about 3 or 4 months when they start smiling, or understanding a joke. But start creating the relationship with your child before, so when that time comes, you’re not only starting to figure things out then. You’ll already understand how to hold the baby, how to put them to sleep and all of that. Your wife will have her way of doing things and you’ll have yours. Just by being involved from the very beginning will create a very strong bond with your kid. If you’re not going home early from work to help your wife out because it’s just the two of you, go back as early as you can just to bond with the baby. It’ll make your wife feel so much better. It’s the same feeling as you seeing her with your child – but on another level. Because she bonded with the baby through the whole pregnancy. But with you, she’s seeing you with your child for the first time and that just makes her go nuts. And also if you have any women in your family like sisters or mothers or aunties, when they see you present with your child is the best thing they’re going to see. Make them all go nuts, why not. I would say, probably the first six months of having a baby is figuring out what cry means what. And you will try absolutely everything. And you will still fail. That’s normal. It’ll be incredibly frustrating, it’s the most frustrating thing ever. You’re tired, you haven’t been eating properly, because as soon as you put the baby down, it wakes up and requires more effort. Accept that it’s going to be difficult. It does end but your patience needs to go up and it’ll happen by choice or by force. Either way, it’ll go up. Realising that and actually getting your hands dirty and doing things are two different things. It’s a massive learning curve, and you won’t know what you’re doing. Over time, you’ll just get it. That’s why it’s important to bond with your child asap. I was lucky to be in a position where I took two weeks off to stay and help my wife out. But I know that many men don’t have that much time off. So, even if you’re back at work after three days, try get back home as early as you can. Your wife (and all the aunties) will think you’re the best thing since sliced bread. So, I guess this is the part where I ask you a question. It’d be cool to find out what you’d like me to write about next. 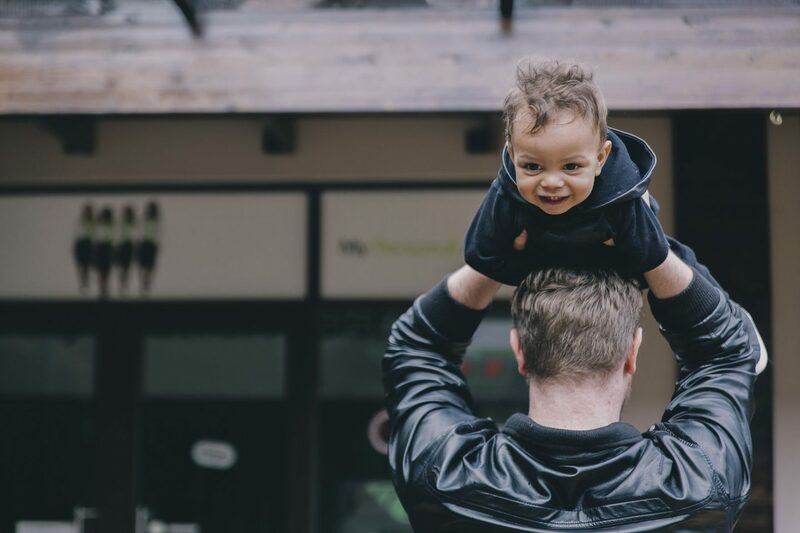 You know, all the stuff you’ve been dying to hear from a man’s perspective on fatherhood. Your wish is my command. Next Post I’m a dad, now what?! Real and funny at the same time. Next topic, how to feed a baby. Yes there is something about being there. Many women might not vocalize it but I think we love it. At least I know I did. Why does Kev sound like my husband? Hahaha. I love these #manmonday posts. I dont know any man as involved in their wife’s pregnancy as my husband. He took me to every doctor’s appointment. He was there for the c-section, I think he was more excited than I was. I had a cell salvage going on during the procedure. Basically blood lost during the op is cleaned and put back in the body. As soon as they cut me, blood appeared in the tubes and it didn’t click the op had started, but he had noticed. To keep me calm, he didn’t tell me. The dr told me a while later. One of the best things he did for me that day. The next was making sure our babies were fine and settled in NICU. He put our babies first. Kev, you’re saving all the soon to be dads everywhere! Once again, your post covered the necessary info all soon to be dads need to know. Well done, bro!